Why Did Chiru Cry Inconsolably? 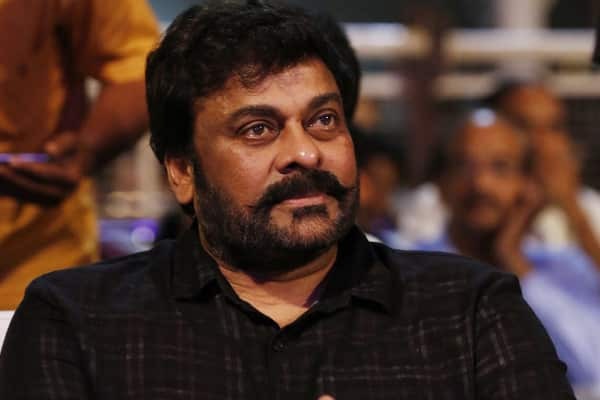 It is known that, megastar Chiranjeevi has been away from active politics and is not airing any views about the political situation and developments in the two Telugu states Telangana and Andhra Pradesh and also in the country. But despite all this, opponents are trying their best to drag Chiranjeevi into their political attack and evoke a response from the Mega Star, so that they can target his brother Power Star Pawan Kalyan and his party Janasena which is contesting the elections. In the midst of all this, Posani Krishna Murali made shocking allegations against Chiranjeevi. Posani said after Praja Rajyam failure, Chiranjeevi was extremely disappointed with the turn of events and with opponents targeting his family, he phoned him and cried inconsolably. He said former MLA Kurasala Kanna Babu is the proof for his revelations. He even attacked Pawan Kalyan saying Pawan ditched Chiranjeevi with regards to Praja Rajyam. He said after Praja Rajyam failure Pawan was the first one to desert Chiranjeevi. He even attacked Pawan Kalyan for his vitriolic statements that Telangana turned out to be another Pakistan. Earlier too, he attacked Chiranjeevi for ill-treating him even though he presented him a blockbuster like Indra. Fans are furious with opponents dragging Chiranjeevi's name even though he is staying away from politics.